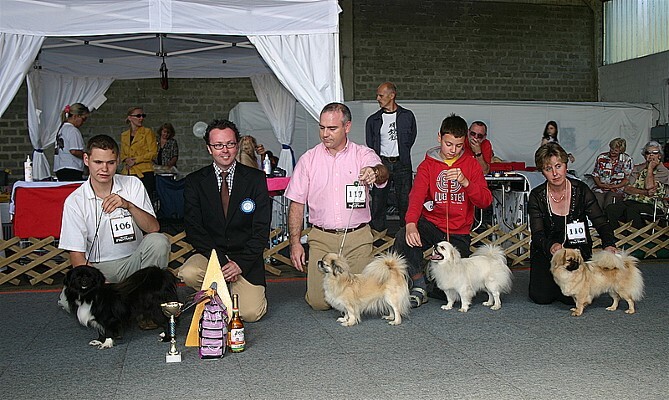 In September 2006, I was honoured to be judging at the Europe Tibet Dog Championship Show, organised this year in Slovenia, back to back with the International CH. Show of Maribor in which I officiated as well. 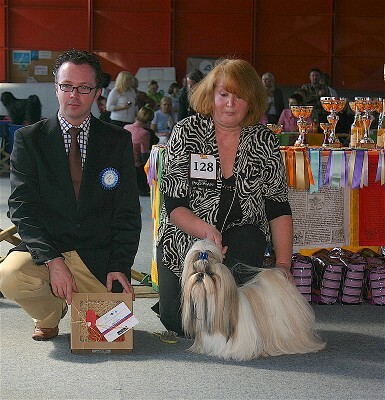 I judged the Tibetan Spaniels, but also the Lhassa Apsos and the Shitzus that week-end. The committee had put a great deal of effort into running an efficient and pleasant show. The halls were decked with Tibetan prayer flags and traditional Tibetan music was playing in the background. At the end of the show, we all took advantage of the huge tibetan food banquet, in a very relaxed atmosphere.